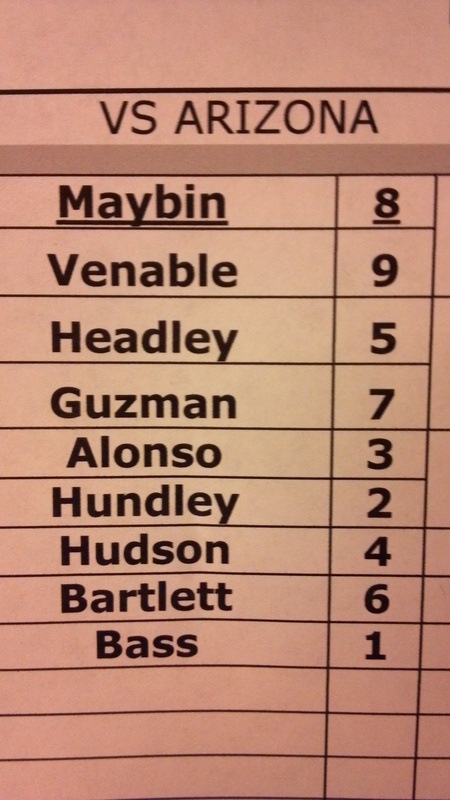 Anthony Bass is making his first start of 2012 tonight as the Padres look for their 2nd straight win. Bass made 27 appearances (three starts) in 2011, going 2-0 with a 1.68 ERA (9 ER/48.1 IP). Anthony Bass takes the hill today, making his second career start as the Padres look to complete a three-game sweep of the Rockies and grab their fifth win in the last six games. Bass’ first career start came in his Major League debut on June 13, also at Colorado. In that game, he tossed 5.0 innings of one-run ball to pick up the win. This afternoon’s game also marks the final road game of the season, with the team coming home for a six-game homestand (9/23-28) to wrap up the 2011 campaign. The Padres are 35-45 away from home this year. According to the Elias Sports Bureau…Anthony Bass made his Major League debut with a start for the Padres last night at Colorado and got the win by pitching 5.0 innings and allowing only one run. Bass is the first pitcher to win his Big League debut with a start for San Diego in which he gave up no more than one run since Sept. 17, 2001, when Jason Middlebrook beat the Dodgers in Los Angeles, allowing only one run in six innings. In addition, Bass became only the second player in MLB history to make his Major League debut at Coors Field and work at least 5.0 innings while allowing one or fewer runs. The only other player to do so was Rockies starter Juan Nicasio, who allowed one unearned run over 7.0 frames on May 28 of this year. Anthony Bass is slated make his Major League debut tonight vs. the Rockies. Originally a fifth-round selection by the Padres in the 2008 First-Year Player Draft out of Wayne State University, Bass has gone 7-3 with a 3.41 ERA (26 ER/68.2 IP) in 12 minor league starts between San Antonio and Tucson this season. Over his last three starts in the minors, he has given up three earned runs in 15.0 innings of work, striking out 16 and walking just three during that stretch. With his debut tonight, he becomes the third player selected by the Padres in the 2008 Draft to reach the Majors. Tekotte and Forsythe also made their Big League debuts this year.